Holiday Cottage Bačva Bay – at the very seashore of Bacva, in a secluded location with limited facilities. Off-grid house with solar panels, a gas stove and rainwater tanks. Features a spacious terrace that overlooks the sea, fully equipped kitchen and bathroom. A truly unique location. Holiday Cottage Bratinja Luka – right above the beach this off-grid house with solar panels, rainwater tank, gas fridge and stove offers unique accommodation in this secluded and isolated bay. Fantastic place. 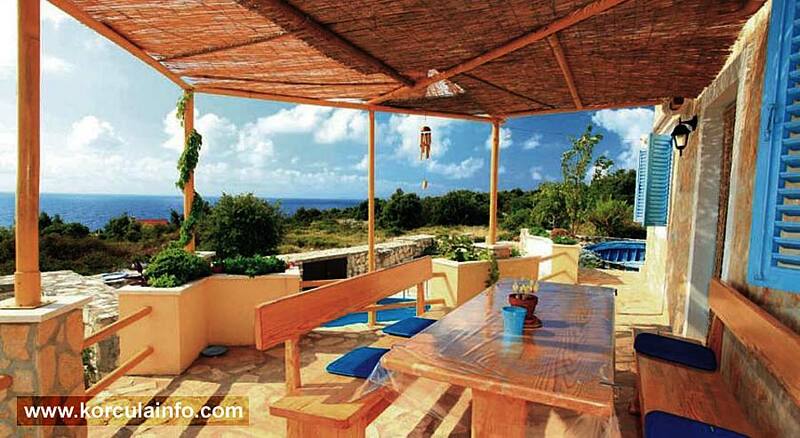 Apartment in Bratinja bay cottage – another off-grid house with solar panels just steps from the beach. Lovely and isolated holiday home. Holiday Cottages in Zitna Bay – fantastic location, the only house in the bay, cottage on the beach, crystal-clear waters. Only a few minutes walk for basic supplies, bar and restaurant. Stone Cottage at the northern coast of the Island – situated at the very sea shore on the northern coast of the island, this cottage is on about 7 km from Korcula Town. 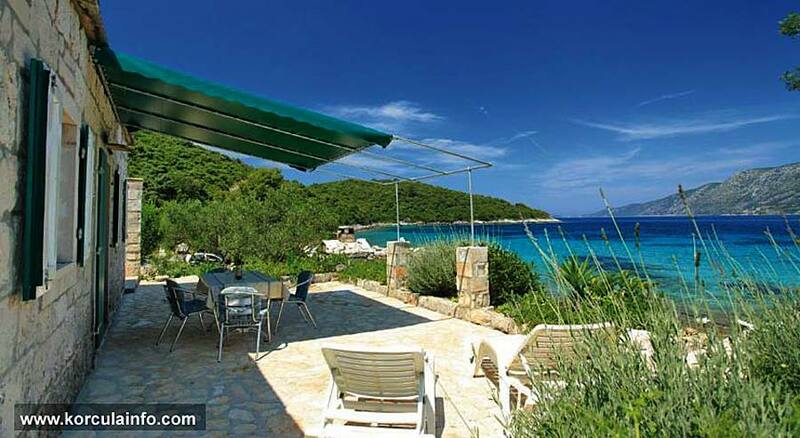 Large cottage in Pavja Luka – fantastic location in the secluded bay this beach cottage can accommodate up to 8 people. Cottage apartment in a remote bay of Rasohatica – at the very seashore of Rasohatica, off-grid cottage apartment with sea views. Holiday Cottage at the hilly position above Korcula Town – a stone-built holiday cottage, unique rural location, private parking, fireplace and sea views over Korcula Town and Peljesac Channel.